This essay originally appeared as The True Story of Lu Xun in The New York Review of Books on 23 November 2017 (vol.64 no.18). It is reproduced here under its original title — ‘Silent China & Its Enemies’ — to commemorate Liu Xiaobo, who passed away on this day a year ago. We also celebrate Liu Xia, Xiaobo’s widow, finally free after years of illegal detention in Beijing. 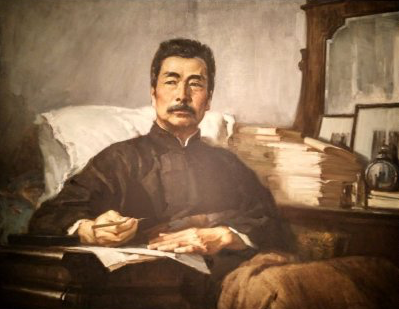 Lu Xun was only one of the many writers and thinkers who argued that for China to become a modern country free of the deadening legacy of Confucian authoritarianism, a new language and literary culture were essential. Ten years earlier, Hu Shi, a young graduate scholar who had studied philosophy under John Dewey at Columbia University, published a manifesto advocating the literary use of vernacular Chinese. Inspired by Hu Shi’s call, Lu Xun helped lay the foundations of modern Chinese literature in a series of stories and tales written in the evolving vernacular. His story “A Madman’s Diary” (1918) is a dark record of a man who sees in the Confucian classics and the traditional world nothing but violence, hypocrisy, and cannibalism, real as well as metaphorical. “Save the children!,” his call at the end of the story, has resonated through Chinese cultural and political debates for the past century. Equally famous is “The True Story of Ah Q” (1921–1922), whose protagonist is an ill-educated rural buffoon. He bullies those weaker than himself but is servile in the face of power. The name Ah Q is still evoked to lambast the hauteur, as well as the weakness, of the national character. I have always felt hemmed in on all sides by the Great Wall; that wall of ancient bricks which is constantly being reinforced. The old and the new conspire to confine us all. When will we stop adding new bricks to the Wall? The Great Wall of China: a wonder and a curse! The political situation of the twenties and thirties was a scene of drama and dispute so urgent that it was bound to force a man of Lu [Xun’s] passion, integrity and sense of responsibility to leave his private fastnesses and come down into the arena. In that arena he developed a style of prose that melded the telegraphic language of literary Chinese (one that he still used for such quotidian tasks as keeping a diary) with the acerbic punch of the vernacular. It is a varied style that Chinese writers have strained to replicate ever since. Jottings Under Lamplight, a new collection of his essays in translation, offers readers insight into one of the most prolific and tormented minds of 20th-century Chinese letters. The essays in Jottings reveal Lu Xun’s responses to the political and cultural issues of the day, and are a record as well as an analysis of China’s modern dilemma: a country enmeshed in its abiding Confucian traditions of autocracy and hierarchy while aspiring to be an equal to the great world civilizations. As with his fiction, Lu Xun used his essays to convey a message and to educate his readers, especially the growing youth readership. In them he experimented with ways to make his points with unprecedented force and political potency. Jottings includes introductions to his story collections, reflections on his literary endeavors, political commentary, as well as pitiless attacks on his enemies, on those he feels have slighted him, and on Chinese culture more generally. Some of the essays are elegies for students murdered in demonstrations protesting those in power; others discuss topics such as women’s rights, chauvinism, film, theater, the imperial hauteur of the West, and cultural appropriation. It is timely to encounter these works today, for although the People’s Republic is anything but voiceless under Xi Jinping, it has paradoxically become silent. Censorship and fear are commonplace, as has so often been the case in the past, and there is cowed conformity. Instead of celebrating a polyphony of voices, Xi Jinping and his propagandists extol Official China, one that speaks in a monotone allowing only for one, unified narrative: “The China Story.” In this story dissent has been quelled and heterodox views eliminated. All the while the Other China, made up of an ebullient cacophony existing in parallel with the Communist Party-state, struggles on; it is a century-long struggle identified by writers like Lu Xun who have extolled the authentic voices of people wanting to be heard. During periods of political darkness such as today, this Other China, like magma coursing under a hardened mantle, flows through conversations and private exchanges. It takes a myriad of forms in acts of quotidian resistance, personal protests straining to affirm decency in the face of indifference, and outright hostility. continued to implement the concept of wen in everyday life and even in the realization of national projects. The regime therefore cannot treat literature as merely a linguistic, fictitious representation of the world, and instead must view it as an integral part of the process by which ideology becomes rooted in one’s heart and blossoms into an ideal polity. Inexplicably, in his efforts at “worlding,” Wang and his authors have overlooked two of the most important cosmopolitan Chinese English-language publications of the 20th century: The China Critic, founded in Shanghai in 1928, and T’ien Hsia Monthly, published in Nanjing from 1935 to 1941 and edited by Wen Yuan-ning, a graduate of Cambridge and former professor of English at Peking University. 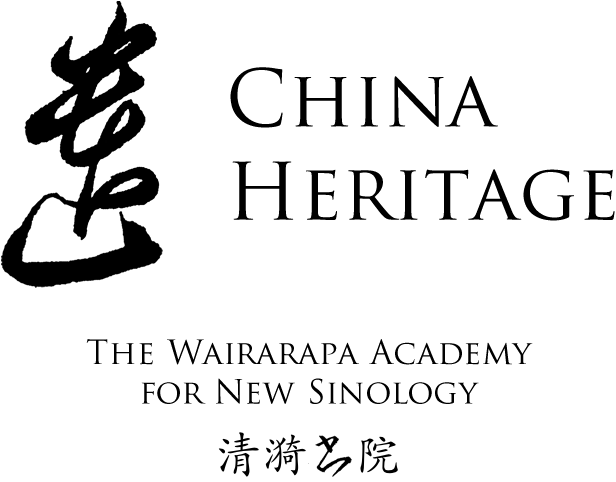 It is exactly this approach to Chinese letters, traditionally summed up in the shorthand wen shi zhe—“literature-history-philosophy”—along with the appreciation of China’s living traditions that, since 2005, I have called New Sinology. Second nature to elite Chinese culture, the wen shi zhe tradition melds politics, ideas, culture, thought, and history and affirms a unique Chinese approach to the world. Lu Xun had been encouraged by the 1917 Russian Revolution and he remained steadfast in his support of the idea of revolution and class struggle, even though he was skeptical about revolutionaries themselves. His younger brother, Zhou Zuoren (1885–1967), took a different approach: he advocated a literature of humanistic values. In 1932, Zhou presented a series of lectures at Peking University in which he outlined the origins of China’s new literature. He noted that over the millennia, whenever political disunity unseated Confucian orthodoxy, the arts had flourished. He went on to argue that the culture of xingling, or individualism and inspiration, of the Ming dynasty foreshadowed the 20th-century literary revolution and rise of humanist concerns. Zhou’s search for cultural exemplars also led back to the fourth-century-BCE thinker Zhuangzi, as well as to the Seven Sages of the Bamboo Grove of the third century CE, men whose words and deeds have inspired literary idiosyncrasy and creativity ever since. Introducing Zhou Zuoren’s argument about the origins of modern Chinese literature in A New Literary History, the Taiwanese scholar Sher-shiueh Li also quotes The Literary Mind and the Carving of Dragons.1 Written by Liu Xie in the fifth century, this work is the first attempt to codify the dynamics of literature and the essentials of literary criticism. One of the main concepts in that work is tongbian, a term still used to mean invention within tradition. Tongbian is made up of two elements: tong, meaning a thoroughgoing familiarity with past practice, and bian, the creative transformation of convention. In many ways, tongbian encapsulates the challenge David Wang sets before readers who want to understand Literary China as it has evolved over the past two centuries. At their best, the results are lucid and insightful. Andrea Bachner’s discussion of “dragon bones” and the origins of Chinese writing is an erudite and amusing meditation on how at the turn of the 19th century archaeology helped thinkers leap backward to overcome tradition. Susan Daruvala, who has previously written incisively on Chinese “traditional modernity,” discusses Zhou Zuoren’s justification for collaborating with the Japanese occupiers of wartime Beijing, and Jie Li confronts the graphomania of the Culture Revolution by focusing on the prison writings of Lin Zhao, a journalist executed in 1968 for her tenacious advocacy of free speech. The essay-chapters in A New Literary History are arranged in rough chronological order; a brief timeline is offered on the inside cover of the book. However, with no clear editorial signposts or explicit guidance in the form of connective commentaries, let alone explanatory essays that could link major events and works to provide a broader historical setting for the more obscure essays, the China novice will find the work as a whole—and its ideas, insightful and relevant though they may be—all but impossible to navigate. This is compounded by much run-of-the-mill academic writing and by the fact that the book has no separate subject index, therefore stymying any but the most adroit and well-informed readers. Similarly, the lack of an English–Chinese title index or a glossary of Chinese names and terms means that many of the works discussed are hard to identify. In this digital age such quibbles are easily addressed; the editorial group under David Wang could devise an online Reader’s Guide to this unwieldy potential masterwork that could help to connect the dots identified by Wang’s pointillism. Let me give an example, focusing on humanism and human rights, a theme central to modern Chinese literary history, and one that is still powerfully relevant. A New Literary History starts with Zhou Zuoren’s 1932 lectures on the lineages of modern Chinese literature; later on there is an analysis of his brother, Lu Xun. What is missing is a clear discussion of Zhou’s opposition, along with other politically unaligned writers, to revolutionary extremism and class-based culture. Zhou’s humanist approach to the arts, frequently derided even at the time, would become a subterranean force in modern China. Editorial guidance could link this to the literary factionalism from the 1930s to 1942 when Mao Zedong, who led the Communist resistance to the invading Japanese from a guerrilla base at Yan’an, rejected literature and art that did not serve the political interests of the Communist Party. Mao’s Yan’an Talks are deftly discussed by Qian Liqun, a leading literary historian at Peking University, who also happens to be an expert on the Zhou brothers, so such a connection would have been easy to make. Then on to the early 1950s: as the newly established Communist rulers in Beijing ordered a purge of class enemies (executing an estimated three million landowners and “bad elements” in the process), they also pursued an ideological campaign on university campuses against Hu Shi (the early advocate of vernacular literature) and Western humanist values. This could then have been linked to the fate of Lin Zhao, mentioned above, who had been jailed for a samizdat journal that reported on the Great Famine of the late 1950s. These efforts to repress free expression would lead to the resurgence of literary culture and the appearance not long after Mao’s death of Reading, a monthly journal that for decades was the true bulwark of Literary China, even though it does not feature in A New Literary History. Two of the most powerful articles about Chinese culture appeared in the pages of Reading: one against censorship, “For Readers There Are No Forbidden Zones,” was published in early 1979; the other, “It’s Now Time for the Sun of Humanity to Shine” (1981), was a critique of the Mao cult that also championed the long-suppressed tradition of humanism. The appearance of these essays relates directly to the flourishing of unofficial journals like Today from the late 1970s and the work of poets like Bei Dao (who features in the chapter “Poems from Underground”). This, in turn, inspired the cultural boom of the 1980s, including the national notoriety of a bristly independent critic named Liu Xiaobo (also missing from A New Literary History).2 In opposition to all of this was the 1983 Anti-Spiritual Pollution Campaign led by Party conservatives, one of the main targets of which was Marxist humanism (discussed by Gloria Davies in her chapter, “Discursive Heat”), as well as the young, and later immensely influential, cultural conservative He Xin, who in his attack on new forms of fiction and reemerging humanist values railed against the Seven Sages of the Bamboo Grove, the cultural reprobates extolled by Zhou Zuoren in his lectures. 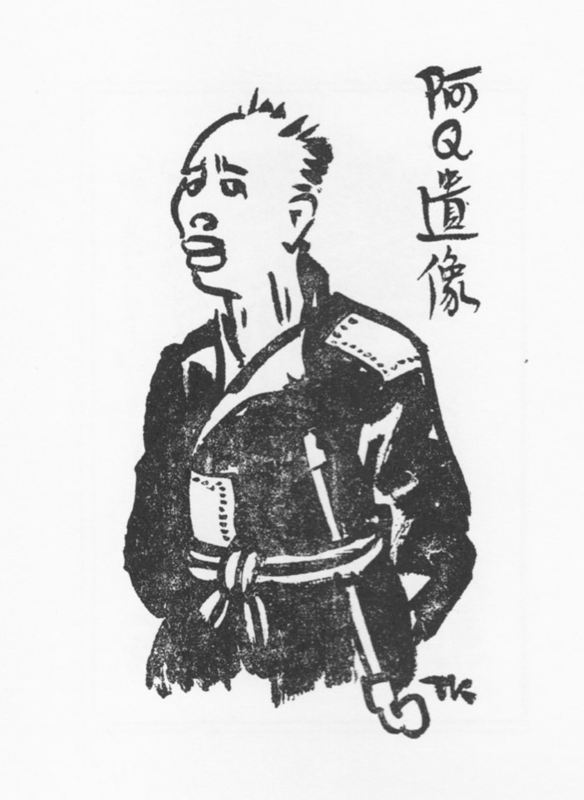 In this process, our editorial guide could introduce that unique Chinese literary form, the Big-Character Poster, or dazibao (first employed by the writer Wang Shiwei to self-publish essays in Yan’an that led, as Qian Liqun mentions when discussing Mao’s Yan’an Talks, to his being beheaded as a Trotskyite). For over three decades, big-character posters were used to great effect by malcontents, poets, and upstarts, as well as Party lynch mobs (the Red Guards in particular). They were also the only form of mass publication available to dissidents, the most famous of whom was Wei Jingsheng, the democracy advocate jailed by Deng Xiaoping just as the Party reiterated its stance against “bourgeois liberalism” (that is, humanist values and political pluralism) in 1979. Deng and his fellow Party elders would claim that these same ideas about human rights and bourgeois liberalism were behind the 1989 protest movement, the crushing of which resulted in a devastating cultural purge. A neat end to such a connective essay would also note that the 2012 Nobel Laureate Mo Yan (who gets his own essay in A New Literary History) was one of a select group of writers who agreed to transcribe a section of Mao’s 1942 Yan’an Talks for a deluxe edition of the Party’s cultural diktat produced on the occasion of its 75th anniversary. Although Mo Yan—the pen name of Guan Moye that literally means “don’t speak”—was willing to parrot Mao in 2012, and even expressed a modest hope that Liu Xiaobo would “achieve his freedom as soon as possible,” he remained deafeningly silent about the continued incarceration and, in July this year, the murder-through-neglect of his fellow Nobel laureate. In 1995, the philosopher Li Zehou and the literary critic Liu Zaifu published Farewell to Revolution, just as the Communist Party was repositioning itself as a responsible, modern ruling party. The authors argued that China’s long century of extremist nationalism and the revolutionary ethos born of it (according to the Party’s calibration, the revolution began with the 1840 Opium War) had come to an end. Some critics doubted their optimism; others decried Farewell to Revolution as a political white flag, one that threatened the country’s ongoing mission to achieve wealth and power. In any case, today’s official China Story declares that the current Party leadership is both the outcome of inexorable revolutionary historical forces and the ultimate expression of China’s nationhood. The war was won, but China’s weaponized literary scene with its poisonous vitriol and pitiless factional infighting, nurtured by writers like Lu Xun, fed the revolutionary violence that would be the hallmark of life for the next 50 years. That tradition of blood and loathing lies at the heart of the Chinese state to this day. For those who encountered Lu Xun in the 1970s (I studied his essays under the noted Lu Xun specialist Wu Huanzhang at Shanghai’s Fudan University in 1975), the cover art used for Jottings Under Lamplight unfortunately casts a writer whose genius gave voice to the contradictions of his age in the one-dimensional light of revolution. It shows Lu Xun in a celebrated 1972 oil painting by Tang Xiaoming titled Never Cease Fire. He appears with jaw clenched, eyes glaring to the right (of course), pen poised for combat. This painting featured in the commemorative stamps issued on the 40th anniversary of his death in 1976. It recalls Mao’s 1940 affirmation of Lu Xun as “the chief commander of China’s cultural revolution, he was not only a great man of letters but a great thinker and revolutionary … a hero without parallel in our history.” It’s been over 40 years since I first saw that image; it still sends a chill up my spine. Suppose there is an iron house, without a single window or door and visually indestructible. Inside are many inhabitants sleeping soundly, all about to suffocate to death. Now if you were to call out, awakening those few who are dozing lightly, leading these unfortunate few to suffer the agony of facing a sure death, do you think you would be doing them any good? The dilemma of Lu Xun, caught between the dead weight of an authoritarian past and dreams of a better tomorrow, also informs much of China’s best writing, and has motivated China’s voices of conscience, writers like Liu Xiaobo and Ai Weiwei, as well as the recently jailed young Hong Kong democrats. As many of their fellows cleave to the official China Dream in the iron house of Xi Jinping, these voices break the silence and disturb everybody’s sleep. Recently published in a revised translation by Vincent Yu-chung Shih as The Literary Mind and the Carving of Dragons by Liu Hsieh (Chinese University of Hong Kong Press/New York Review Books, 2015). See “Liu Xiaobo’s Last Text,” The New York Review, September 28, 2017. To appreciate better Lu Xun’s ambivalence, Leo Ou-fan Lee’s Voices from the Iron House: A Study of Lu Xun (Indiana University Press, 1987) is a good place to start. The style of the original has been retained. This essay is also available on ChinaFile. English-language readers interested in Lu Xun are encouraged to consult the translations of Yang Xianyi and Gladys Yang — Lu Xun, Selected Works in Four Volumes (Beijing: Foreign Languages Press, 1980). Jottings Under Lamplight draws heavily on this earlier work, one that is far more coherent in style and linguistic register than this new, glossolalia-like effort. Lu Xun’s genius awaits a translator who can truly capture its tenor and style in English, until then non-Chinese-language readers may wonder what all the fuss is about.